Another circle ‘crops up’ in Wiltshire -Windmill Hill (2), nr Avebury Stone Circle , Wiltshire. Reported 26th July. 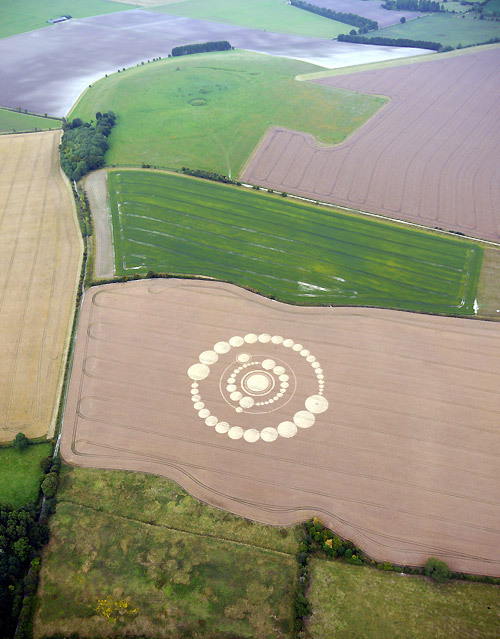 Another amazing cropcircle has appeared in Wiltshire. If you are not visiting with a local tour guide please respect the ‘crop circle etiquette’-see below. In our attempt to become more responsible for giving out information on the locations for the Circles, we have published a Code of Conduct which was drawn up by the National Farmers Union in collaboration with the Centre for Crop Circle Studies. The Connector does not want to deny our readers the chance to visit a Crop Circle. It merely reminds you to ask for their permission to enter their fields. Do not go onto private land unless you have permission from the farmer or landowner. If you can’t find the farmer or landowner to ask permission-you have no right to enter private property. IF you can not find the farmer DO NOT enter the field. IF you wander into a formation without permission and a farmer catches you, DO NOT argue with him if he wishes you to leave his land. Better still – go with a local tour guide who knows exactly where they are, how to get there and has permission from the farmer. 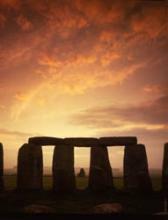 HisTOURies UK – Mystical landscape, magical tours……..